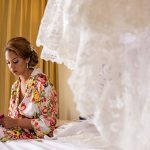 I loved working with Doranna before my wedding day for a trial and the day of the wedding as well! She was so easy to work with and has a talent to know what works and what does not. I sent her pictures with what I had in mind and she outdid even that! I was exactly what I wanted to be on my wedding day because of her. Also my hair and makeup did not fall out or come off even the slightest and it was a hot, humid day. 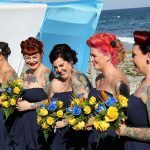 My bridesmaids’ and mother in law’s makeup and hair was beautiful as well and was all very well done and stayed in place. I could not have been happier! Doranna is very talented and easy to work with. She makes getting hair and makeup done enjoyable and she is also very quick! 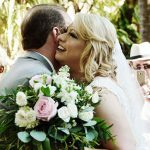 I had a great experience with her and would definitely recommend her! 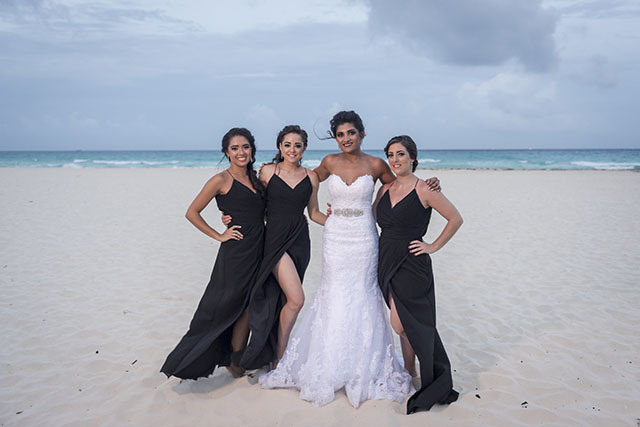 Nida, working with you for your bridal hair and makeup was a treat! 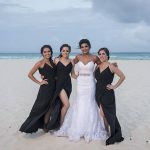 You picked Playa del Carmen, Mexico for your destination wedding and it was perfect! Thank you for trusting me and my staff with your important day!